Developed by DONIC, "made in Japan"
Technically competent players put great emphasis on a taut and grippy top surface to impart maximum spin for service, return and topspin. When using topspin this rubber produces a higher arc to the ball in flight. 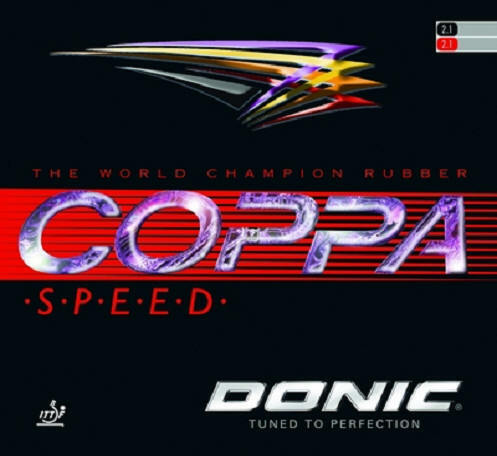 DONIC Coppa Speed is the perfect rubber for players who value a varied spin game. Another advantage is that this rubber has excellent long-lasting qualities. DONIC Coppa Speed?s taut Japanese top surface rubber is extremely fast and spinny. DONIC Coppa Speed: Enjoy the flight!